The Bianconeri had gone unbeaten in their first 27 games of the Serie A season, but were unable to make that 28 as goals from Stefano Sturaro and Goran Pandev condemned them to defeat at the Luigi Ferraris. We thought that we'd already won the Scudetto, but that is not the case. 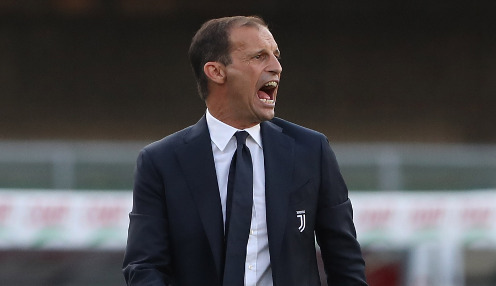 However, Allegri was far from panicked by the reverse, while also believing that the reverse could be just the wake-up call his players need as they aim to secure an eighth successive Italina league title. He told Sky Sport Italia: "I expected a different Juventus, we did not put in a good performance. "Inevitably, the effort we put in against Atletico Madrid on Tuesday weighed on us. You can't play every game to the best of your abilities. "I think, if anything, this defeat can do us good and wake us up. We thought that we'd already won the Scudetto, but that is not the case. "It's impossible to win every game, I've said that since the start, so no need to make a drama out of it. We've played 28 games, won 24 and drawn three, so it's not that bad." Juve are still a massive 15 points clear at second-placed Napoli, while they are also through to the quarter-finals of the Champions League, having fought back from two goals down to edge out Atletico Madrid 3-2 on aggregate in the last-16. La Vecchia Signora are 12121/1 to win the Champions League this season, with Barcelona priced at 6/4 and Manchester City 1212/1.